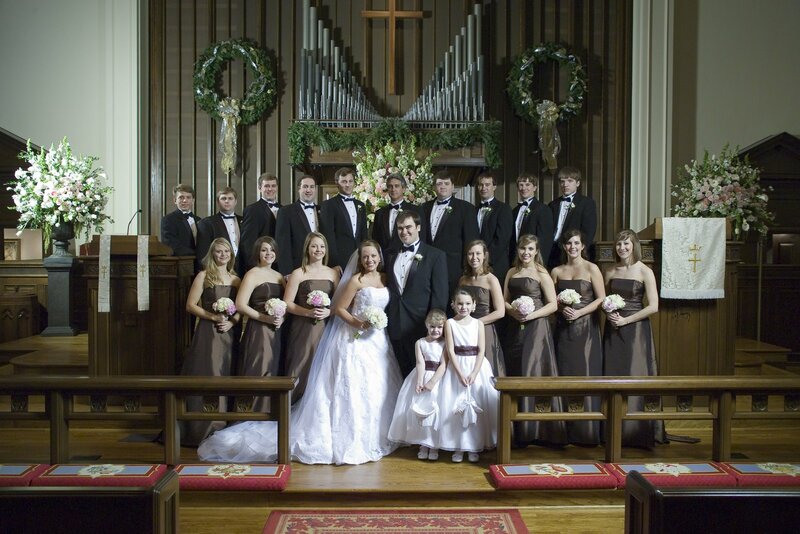 This was my HUGE wedding party! 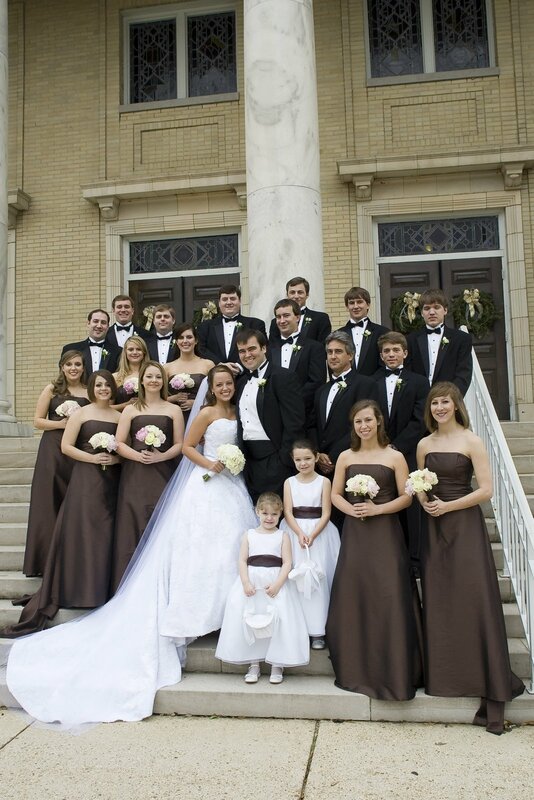 Noah and I had 7 attendants each, with 2 flower girls, 1 ring bearer, and 3 ushers. It was a LOT of people to keep up with! 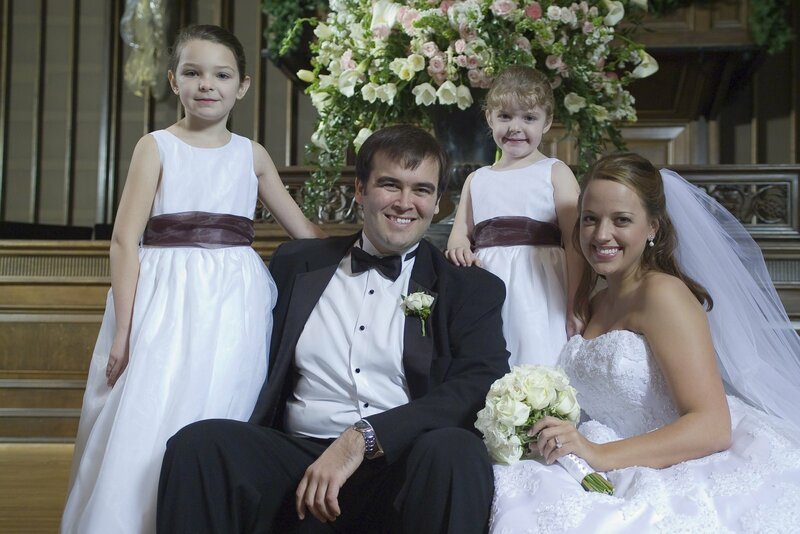 Noah and his attendants…his dad was his best man. With my girls – all were my sorority sisters! 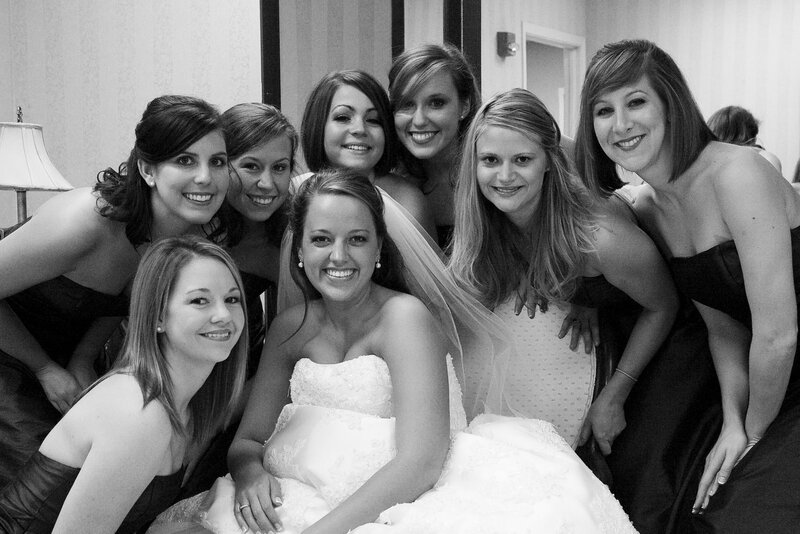 My maid of honor (lower left hand corner) was my roommate in college. Our flower girls, Kinley and Marion. They are Noah’s cousin’s daughters! 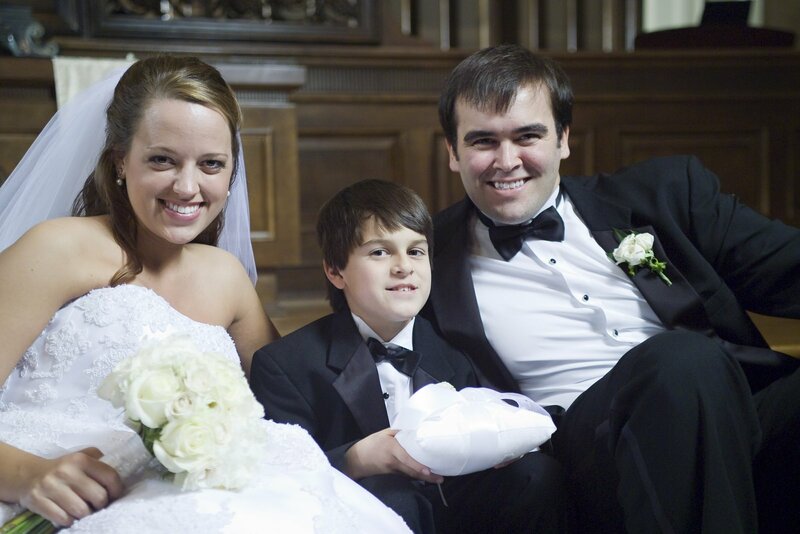 And our ring bearer, David. He’s Noah’s cousin on the OTHER side of the family (they have a huge family!). 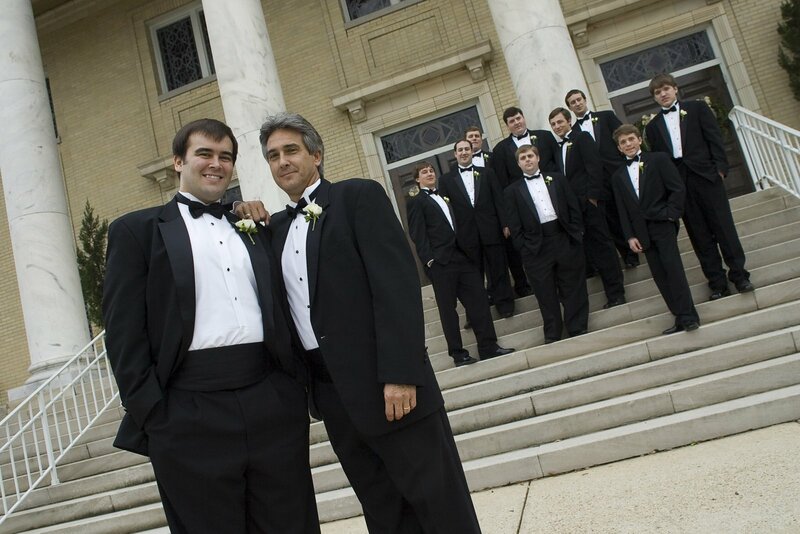 There wasn’t a section of “Show Us Your Life,” but we got married at First Methodist in Tuscaloosa (and still attend that church today). 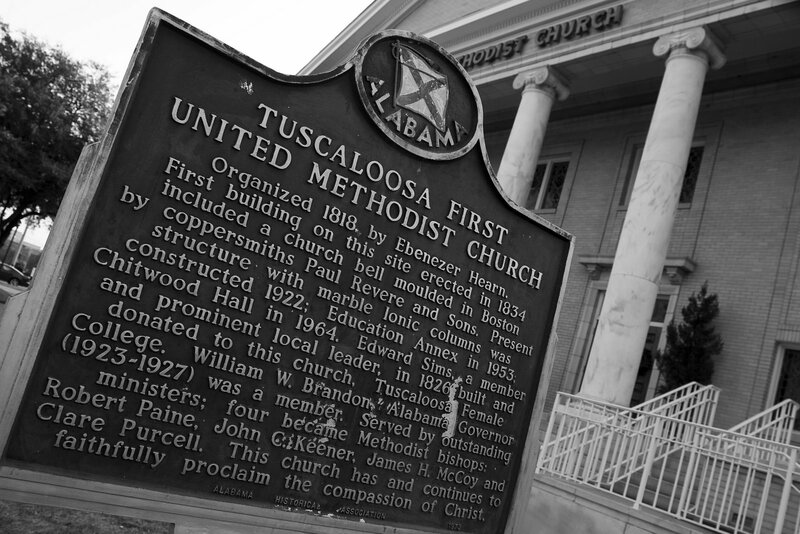 Here’s your random fact of the day – Bear Bryant’s funeral was held there. So there ya go. On the other side of the altar, this was dedicated to our late grandparents. 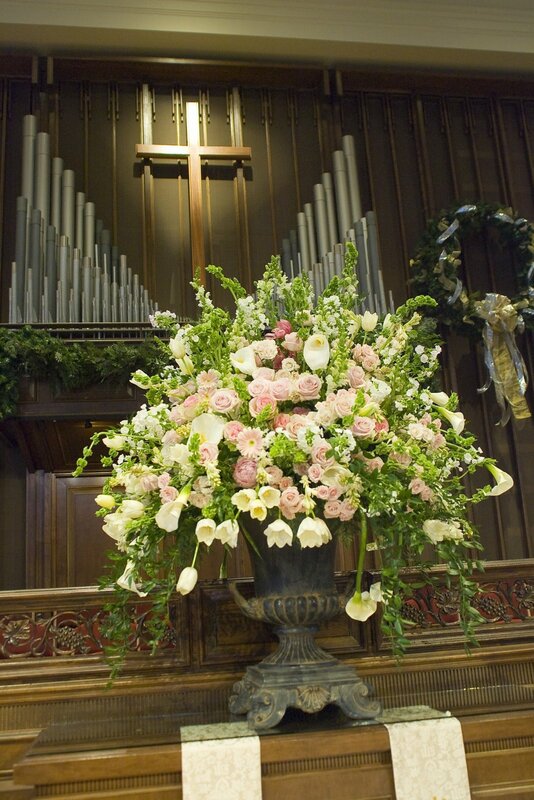 …and our HUGE arrangements for the front of the church! We had three of these (but I kind of wish I had only gotten one – the other two just kind of blended in). Thanks for stopping by…you can also see my wedding dress here! You can also see all of my posts for Kelly’s Home Tours here! I love all of your flower decorations!!! 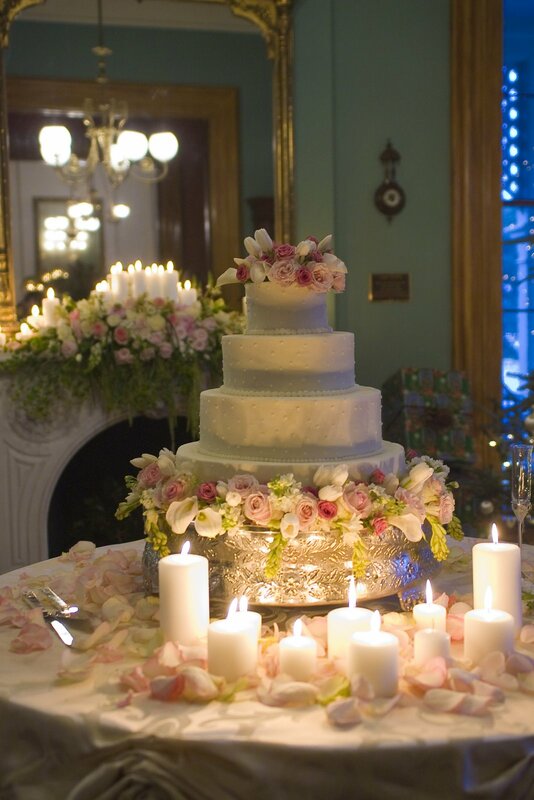 The table the cake is on is gorgeous and the mantle!! My goodness girly! Your wedding was beautiful! You had the BEST flowers I've ever seen…Wonderful! Hugs! 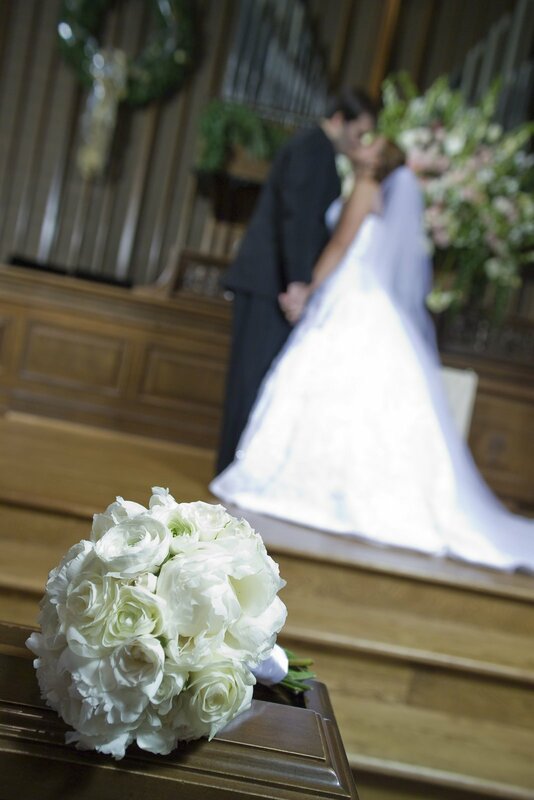 Wow- what a beautiful wedding you had! Great pictures! Lovely, and did I say beautiful and did I say elegant? Oh my, reminds me of a daughter I know. You are a beautiful girl! 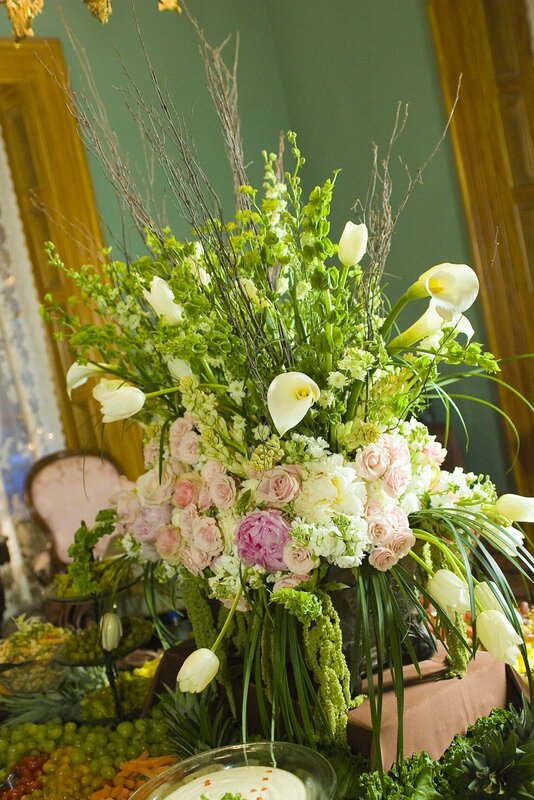 I love everything…I have been to a reception at the Jemison Mansion before. I just found your blog through Kelly's corner and I love it! Your wedding looks so beautiful. I am newly engaged and trying to plan mine. 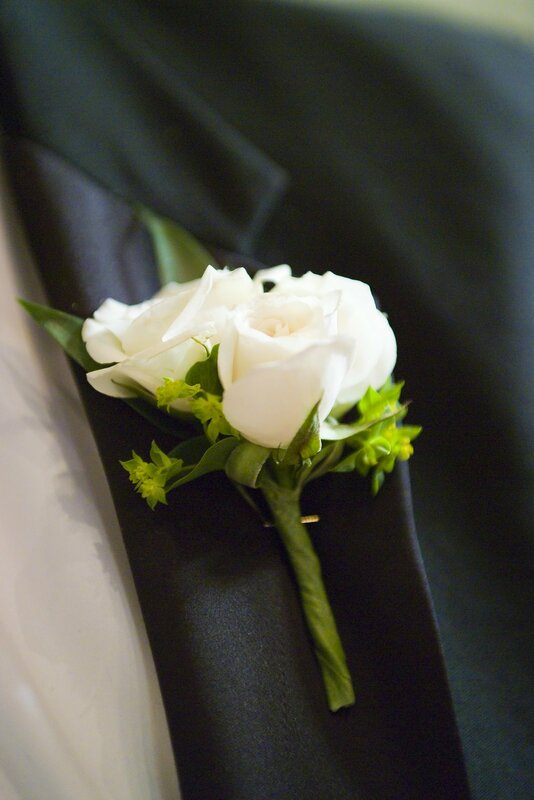 Your dress is exactly what I am looking for and your flowers are gorgeous! Y'all wedding looks so beautiful! Holy Cow! Your wedding was unbelievably GORGEOUS! I loved everything about it! Thanks for sharing! Absolutely beautiful! 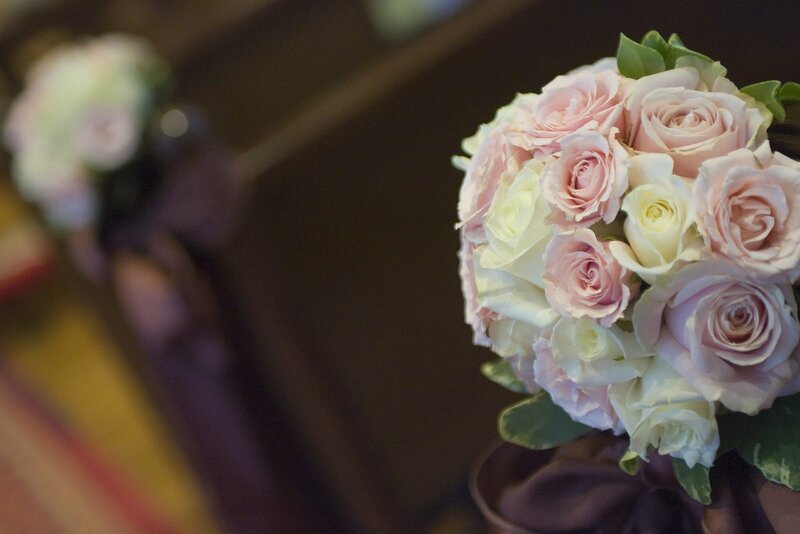 Your colors are perfect, and the flower arrangements are gorgeous!! Very pretty! Love the mantle decorations. 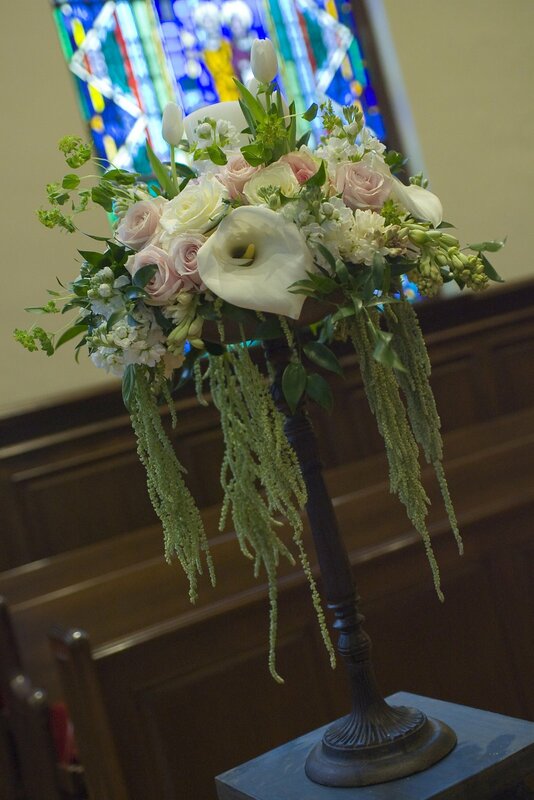 Love the colors of your b-maids dresses and the flowers at your reception were beautiful! Oh my goodness! 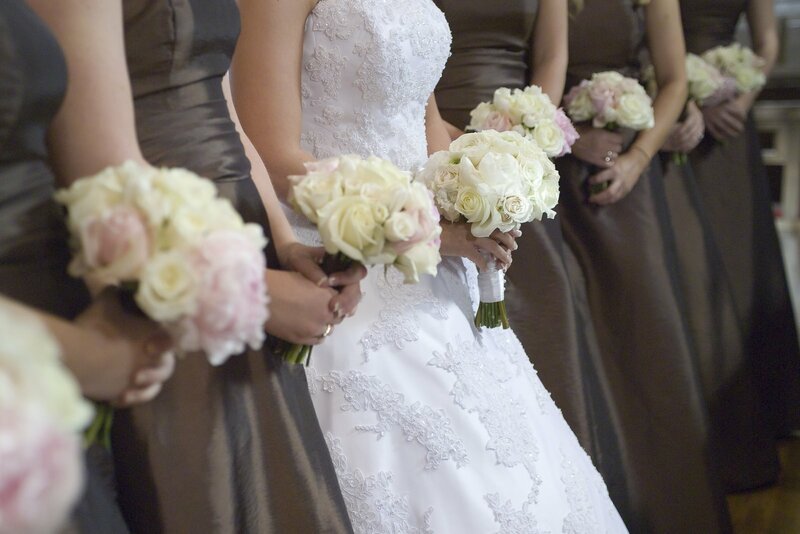 I love love love your flowers and bridesmaid dresses. Beautiful wedding! Those pictures are wonderful! You had a beautiful wedding! So pretty! I love your flowers! Beautiful wedding! I absolutely love flowers and yours were AMAZING! Your wedding was beautiful! 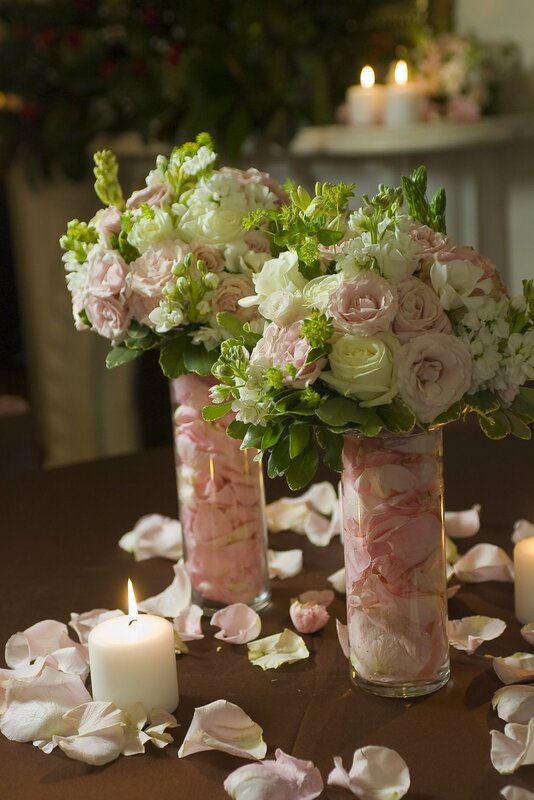 I especially like your girls' dresses and the gorgeous centerpieces! What beautiful pictures!!! I love all of them! Thank you for sharing your special day! Wow you flowers were beautiful! What a beautiful wedding! Your flowers were gorgeous! And you were a beautiful bride! Thanks for sharing. Beautiful! I love the size of your wedding party. I think it makes it fun! Gorgeous pictures. I am coming over from Kelly's Korner! Your flowers are absolutely beautiful! The mantle is SO pretty! Love it! Beautiful wedding. 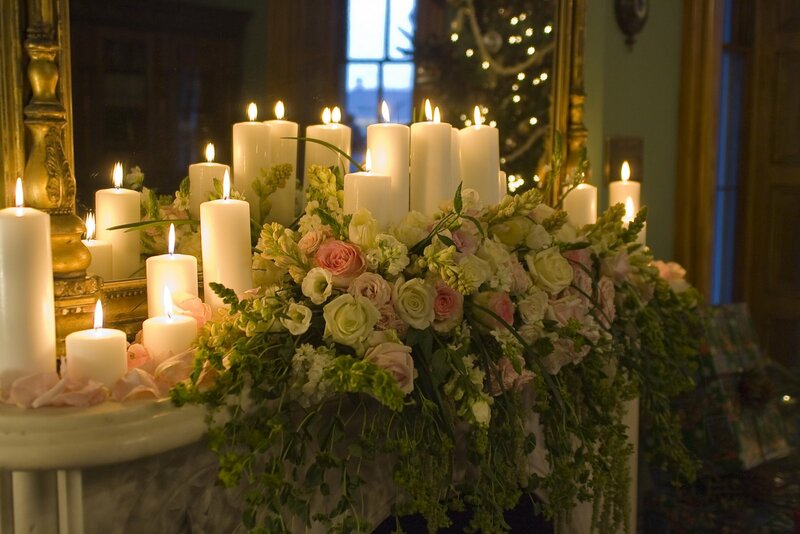 I love the table arrangments! everything is just gorgeous. 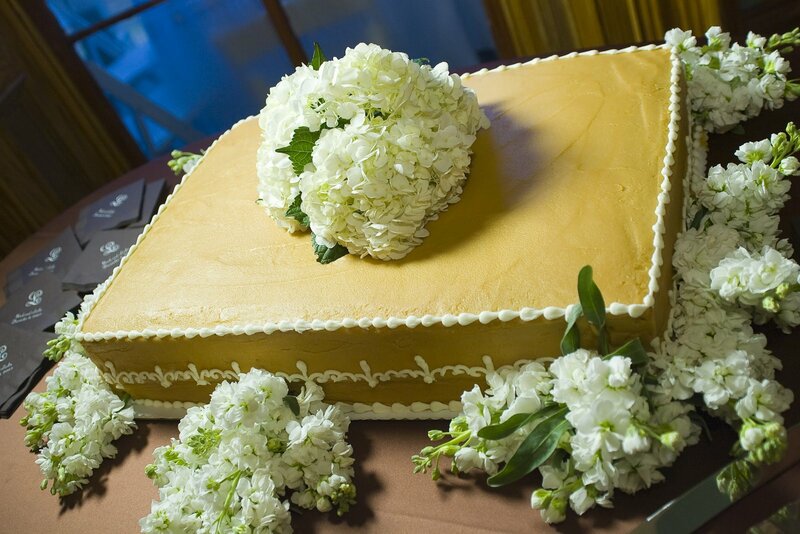 my favorite is the way you had flowers at the base of your wedding cake.. and the mantle arrangement behind the cake. so pretty! Beautiful pictures! I love all your flowers. You are gorgeous and I loved your flowers so so much! 🙂 especially your cake and that mantel behind your cake! Your flowers are absolutely amazing!!! 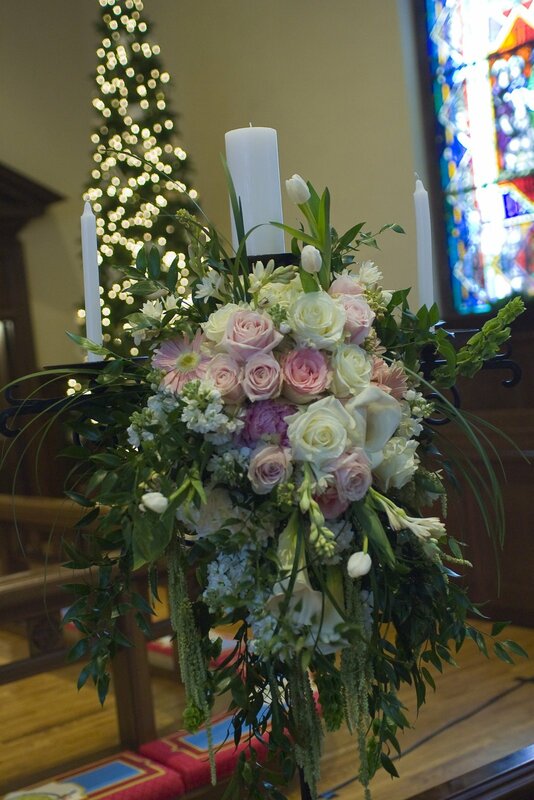 All of the flower arrangements are so beautiful. Your flowers were so beautiful!! Everything looked so great!